Fleet expansion, further development of tailored solutions for special cargoes, and the introduction of new destinations helped Russia’s largest air freight operator AirBridgeCargo Airlines (ABC) achieve 13% growth in 2017. The airline delivered more than 700,000 tons throughout its international network in 2017, generating 10% growth rates in freight ton kilometers, 1% better than the overall market, and the load factor rose 4% year-on-year to approximately 71%. ABC’s success is spearheaded by a dynamic fleet expansion strategy allied to increased solutions for special cargoes and the introduction of new and upgraded destinations. With robust and solid air cargo growth in the market, ABC enjoyed business improvements in all major markets across its global network last year. “In 2017 we concentrated our efforts on the development of special cargo transportation, fine-tuning our internal procedures and processes, aligning our organization structure and moving further along the path of digitization,” says CEO Sergey Lazarev. “These initiatives have already boosted our volumes of special commodities, with temperature-controlled pharma traffic heading the list (up 150%), followed by outsized and heavy shipments (up 33%), and e-commerce (plus 26%),” he adds. 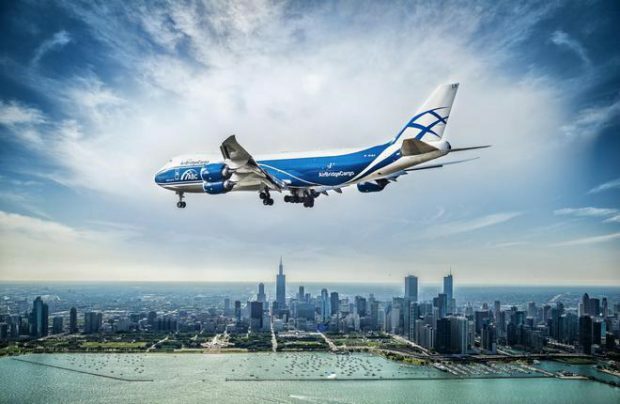 AirBridgeCargo has also initiated a number of projects aimed at enhancing service quality, “including the introduction of our new Control Tower to monitor consignments of special cargoes and to proactively respond to any service disruptions,” Lazarev reveals. Among these quality improvements are Envirotainer QEP certification for ABC stations, cooperation with Sky Fresh for automated notifications, and other industry-related initiatives offering tech-savvy solutions. All of these moves have helped sharpen ABC’s overall performance standards. “Our commitment to continuous improvement and strong customer relationships will continue to serve as a pillar for ABC’s development in 2018 and beyond,” Lazarev asserts. In 2018, ABC plans to further amplify service quality with the main focus on further enrichment of its special cargo options, thereby providing customers with an enhanced range of products, whilst also offering digital solutions to make the process of air freight delivery as transparent and easy as possible. Finding new areas for digital penetration to benefit the customer experience will be the main driver of ABC’s development, says the company’s statement. This will necessitate forming partnerships with forward-thinking, trustworthy companies, the optimisation of internal processes and organizational structure, with customized arrangements for specific industries, notably the pharmaceuticals, aerospace, oil-and-gas and other sectors.